The complete Just Dance 2018 song list has been revealed by Ubisoft. Below you’ll find the full set of 40+ songs that will be playable in the main game (AKA on-disc or without DLC). The dancing game will be released worldwide on October 26th, 2017 for Nintendo Switch, Wii, Wii U, Xbox 360, Xbox One, PS3 & PS4. The music featured in Just Dance 2018 spans all genres of popular 1990s to 2017 music that’s fun to dance to with family and friends. This time there are even 8 songs especially added for little kids to dance to easily in the Kids Mode. With more than 40 new tracks, ranging from Billboard hits to classic throwback favourites, from popular artists and K-Pop, everyone in the entire family will have a favourite track to dance to in Just Dance 2018. 13-40. “?? ?” More songs to be revealed soon! 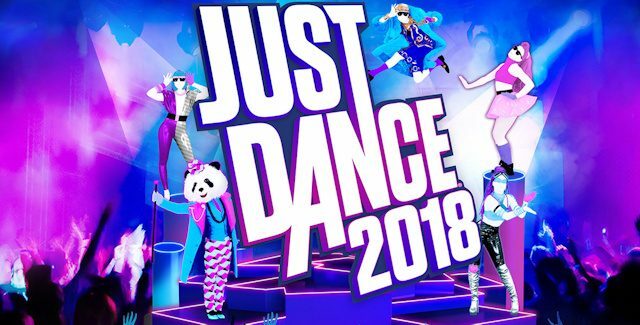 Future Songs: In addition to a killer on-disc soundtrack, the Just Dance Unlimited subscription streaming service adds 300+ songs to the Just Dance franchise, and will be available together with Just Dance 2018 on PlayStation 4, Xbox One, Wii U & Switch. Just Dance Unlimited will give players access to over 300 tracks from previous Just Dance titles. With additional new tracks being added consistently. What songs would you like to see added to Just Dance 2018? « Next Post: Mario Marathon 2017 LIVE All Weekend!